As the Champions League, Premier League, and others gain a full head of steam leading up to the finish line, another league across the pond is just getting started. Yep, Major League Soccer is back and we’re psyched. This means it’s time to get to some predictions! Despite MLS’ inherent unpredictability, Collin and I decided to hazard a few guesses for the 2016 campaign. Even though the Galaxy lost some key players during the offseason (Juninho, Omar Gonzales), they were very busy in the transfer market bringing in replacements. The team has introduced European legends Ashley Cole and Nigel De Jong to the lineup, as well as a pacy young winger in Emmanuel Boateng (no relation to Jerome or Kevin). These high profile additions add even more strength to arguably the most star-studded lineup in the league. Granted, last year was thoroughly disappointing for Steven Gerrard (two goals and three assists through 14 games), but his transition year should give way to better performances. The team will rely on players like Robbie Keane, Giovani Dos Santos and Gyasi Zardes for goals, but that’s not a bad list of players to have in attack. Last year, the Galaxy struggled to a fifth place finish in the West, but I expect them to be amongst the leaders this time around. This conference was really tough to pick. The Galaxy could easily cruise to the Supporters’ Shield, but they could just as easily struggle with chemistry and injuries. Obafemi Martins is a profound loss for the Sounders. Sporting KC doesn’t seem like they have enough oomph to conquer a tough West. So I’m going with FC Dallas to repeat as regular season champs in the West. Castillo, Diaz, and Akindele is a phenomenal and youthful core and they will only get better together this year. 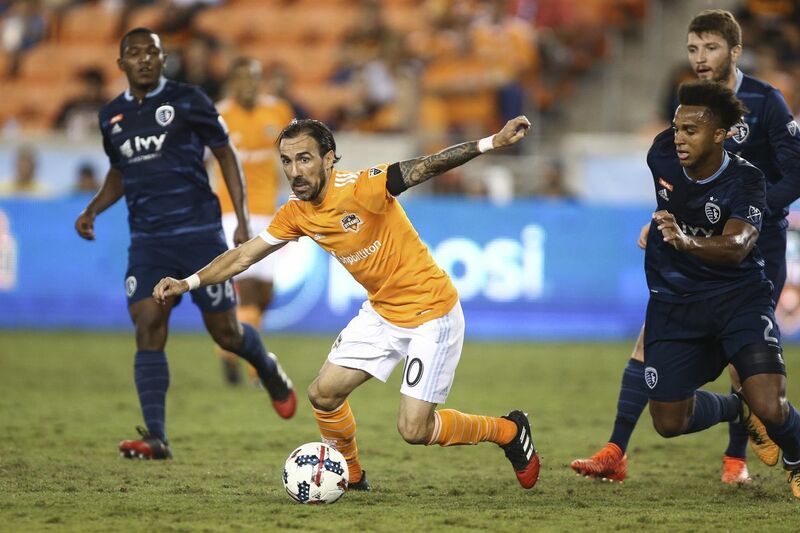 There have been some departures, as starting keeper Dan Kennedy has been replaced by homegrown youngster Jesse Gonzalez and veteran forward Blas Perez left for Vancouver, but the talent pool in Dallas is still quite impressive. It’s hard to bet against the team with the reigning MVP. Last year, Sebastian Giovinco dominated the league with 22 goals and 13 assists. Unfortunately for Toronto fans, this incredible goal tally was only good enough to finish sixth in the conference. A major reason for the disappointing finish was the fact that Toronto had the joint-worst defense in the league; letting in 58 goals through 34 games (1.7 goals/game). Over the offseason, ownership made some moves to improve this porous backline. The additions of league veterans like Steve Beitashour, Will Johnson and Drew Moor should help with Toronto’s defensive struggles, but I think that it will once again be the attack that carries the team’s title hopes. Look for another impressive season from Giovinco, and hopefully a good year for Jozy Altidore going into the 2016 Copa América. I’ll go with a different Canadian club as my Eastern champ. 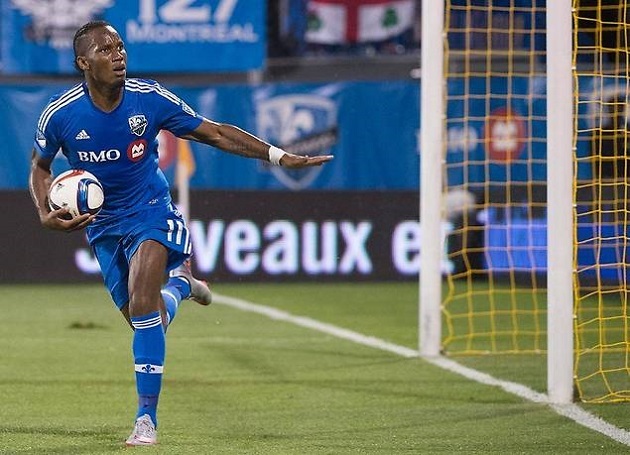 Drogba was a revelation last season in Montreal and he should continue to produce magical moments if he stays healthy. The Impact only lost two matches in their final 11 last season, much of that due to Didier. Although they fell to the Crew in the playoffs, it really seemed like this team had the necessary ingredients for a MLS Cup run. Those ingredients? Experience and balance. Veterans Igancio Piatti and Laurent Ciman return this season for another go-round. These two, plus Drogba, ensure a steady and accomplished presence at all areas of the field for Montreal. However, young blood helps too, so they have shrewdly brought in former Chicago Fire standout Harry Shipp to shore up the midfield (“Shipp to shore up”, say that five times fast…). I love the look of this squad; don’t be shocked if they dominate the East in 2016. When it comes to the MLS playoffs, history has shown that anything can happen. It’s not necessarily the strongest team that wins, but the team that has the most luck on the day. With that being said, I believe that the Sounders will walk away with their first ever MLS Cup. The Sounders have been a perennial playoff contender for the last several seasons, but they’ve never been able to get over the title hump. Veterans like Clint Dempsey, Brad Evans and Chad Marshall buoy the team. Obafemi Martins’ departure to China has been offset by the arrival of Jordan Morris. Last year, the Sounders suffered heartbreak at the hands of FC Dallas in the conference semifinals, but look for them to be dealing out the upsets this time around. It’s hard to believe the Red Bulls have never lifted the MLS Cup (much less the U.S. Open Cup). Two of the last three seasons have seen them win the Supporters’ Shield, yet they’ve only ever reached the MLS Cup final in 2008. The same team that beat them in that final, Columbus Crew, knocked them out in last season’s conference finals. So why do I think this is finally their year? Because eventually luck goes your way if you continue to go back to the well. New York still boasts one of the best midfields in the league and habitual scorer Bradley Wright-Phillips. The only potentially damaging loss is defender Matt Miazga, but they still possess a more than capable back line. It’s actually probably better if they don’t win the Supporters’ Shield this year, considering how rarely those teams win it all. 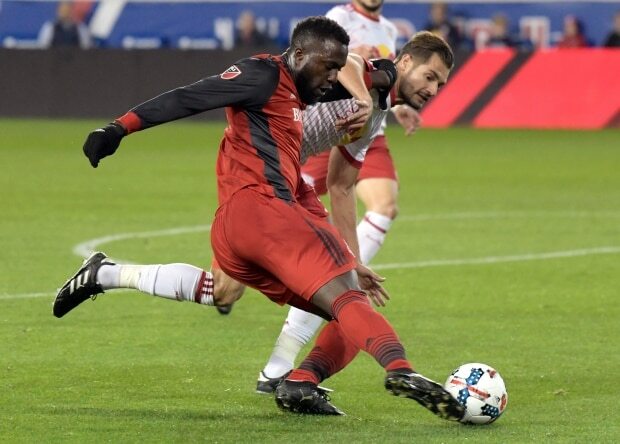 Perhaps I just doomed the Red Bulls to more playoff disappointment with this prediction, but this side’s talent and organization makes me a believer despite their history. Few foreign players have been able to dominate the league the way that Sebastian Giovinco did last year. Giovinco, as stated earlier, led the league in goals and assists and looked nearly unstoppable in the process. I don’t think that any team has made the proper adjustments over the offseason to deal with his presence on the pitch. With a full offseason under his belt, the 29-year-old’s partnership with Jozy Altidore should continue to grow. Toronto’s solid midfield, with the likes of Michael Bradley and Benoit Cheyrou, has the ability to supply Giovinco with the passes necessary for goals, and I wouldn’t be surprised if he matches, or even surpasses last year’s 22-goal tally. If he can pull off another MVP-worthy season, the Italian will be the first player in league history to secure the award in back-to-back seasons. It’s difficult to argue against Giovinco running away with the award again, but I’ll try: The Sounders will rise and fall with Clinton Drew Dempsey this year. Now that Obafemi has followed the money to China, Dempsey becomes the focal point of a high-powered offense. Despite time he will miss playing in this summer’s Copa America, I think he may approach 20 goals this season with a bunch of assists as well. The 33-year-old may be aging, but he could easily be a top MLS player for another 3-4 years. With his sidekick Obafemi gone, I think the MVP narrative ends up coalescing around Dempsey as long as Seattle are in playoff contention, which they will be. 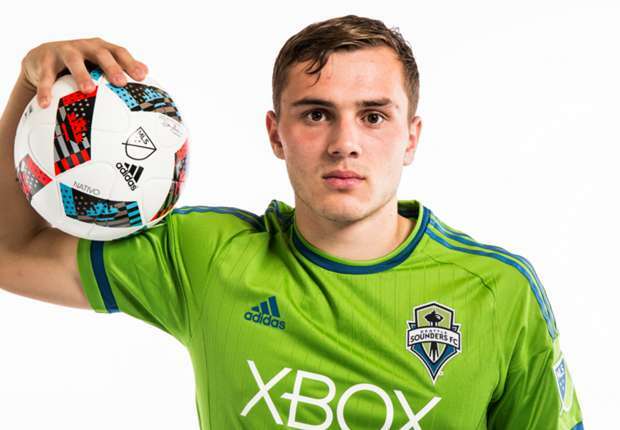 The most hyped rookies going into this season has to be Jordan Morris of the Seattle Sounders. The Stanford striker’s decision to snub Wolfsburg to join the Sounders was marked as a major moment for the league, and quickly sparked a wave of excitement to see what he could do at the professional level. With the departure of Obafemi Martins to China, Morris looks to have an immediate starting spot in the Seattle lineup. 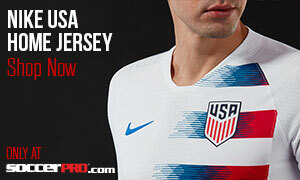 The 21-year-old is already a near-constant member of Jürgen Klinsmann’s national team lineup, and has already scored an iconic goal for the Stars and Stripes. Morris has shown promise for every team he’s suited up for, and I expect more of the same in Seattle. This international experience should soften the transition to the professional level, and should also pave the way for a Rookie of the Year season. Well, who else? Every American soccer fan couldn’t be more excited for the debut of the Stanford standout. Morris has proven he can hang at the highest national team level, so I think he will have a fruitful rookie year with the Sounders. It will be extremely fascinating to witness how his partnership with Dempsey, the 2004 Rookie of the Year, comes together. We’re ready to be amazed, guys.